Mix flour, salt and baking powder. Add lard and cut in until it looks pretty crumbled. Stir in the milk. You want it wet, so add more milk if you need to. Once it is mixed well, drop by the spoonful onto the sauerkraut. Cover everything with water and cook until dumplings are done. About 10-15 minutes or so. Over medium heat melt 2 T of butter and put in cut up sausage. Add everything except ravioli and cook until sausage is nearly done, about 6 minutes. Turn to simmer. Cook ravioli according to package directions. Drain. Add the rest of the butter and the ravioli to sausage and vegetables and stir. 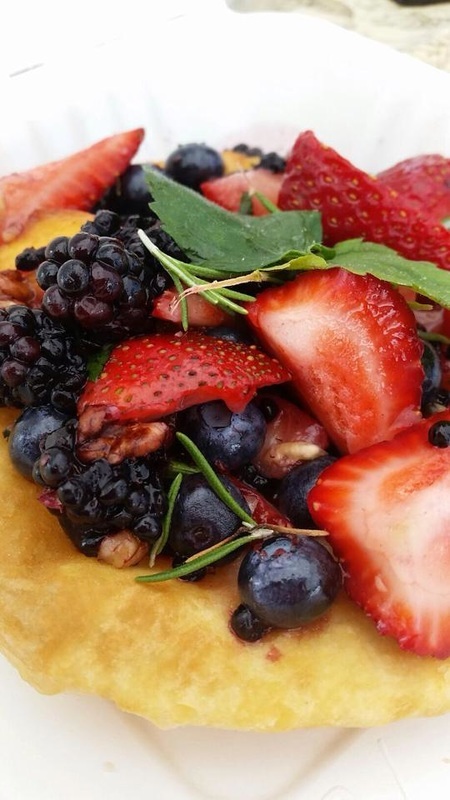 Indian Fry Bread covered with mixed berries, mint & honey. Prepare your favorite mix of berries, add enough honey to coat and mint to taste. Let mixture marry while you make your fry bread. Mix flour, baking powder and salt. Gradually add in the lard. Add enough water to make dough sticky. Knead dough until smooth. Cover with a towel for 10 minutes then roll into egg sized or a bit bigger balls. Roll them into circles about the size of a pancake. Fry in hot cooking oil in cast iron skillet until brown on both sides. Drain. Top with berry mixture. Lettuce, tomatoes, onions, avocado, cheese, beans, salsa, etc. Mix flour, baking powder and salt. Gradually add in the lard. Add enough water to make dough sticky. Knead dough until smooth. Cover with a towel for 10 minutes then roll into egg sized or a bit bigger balls. Roll them into circles about the size of a pancake. Fry in hot cooking oil in cast iron skillet until brown on both sides. Drain. Top with taco fixings. Brown and season ground meat according to your taste, maybe, salt, pepper, ginger, asian spices. While it is cooking make sure it is in fine bits, like taco meat. Shred your cabbage and chop your veggies, then mix them together in a nice sized bowl. DO NOT COOK THE VEGETABLES. After meat is cooked, add the meat. 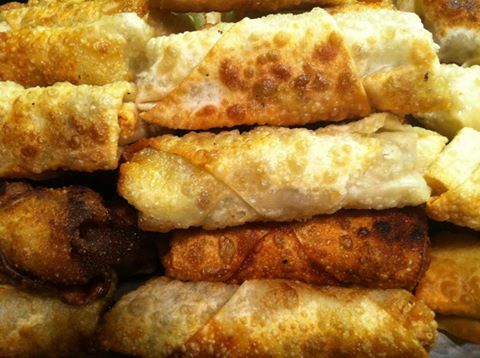 Roll your egg rolls according to the directions on the wrapper, like a little burrito. Fry in hot oil, turning once. This cooks really quick! Makes 42 eggrolls.